One of the plants at Den Helder is a low calorific gas processing facility that started operating in 1984. As part of a general rejuvenation of the systems and equipment at this facility, NAM decided to upgrade its automatic shutdown (ASD) control system, which relied on obsolete magnetic logic failsafe technology. Once the upgrade decision was taken, time pressure became critical, as ideally, NAM needed the upgrade to coincide with a planned six-yearly maintenance shutdown. Yokogawa is NAM's preferred main automation contractor (MAC) for its offshore operations. For speed and efficiency, it was decided that Yokogawa would also provide the electrical, mechanical, and civil engineering services required for this automation upgrade - work that would traditionally have been contracted to an engineering, procurement and construction company (EPC). 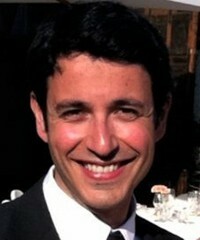 Eliminating the need to hire an EPC sped up project completion by six months. The rejuvenation of the Den Helder gas processing terminal aimed to extend its useful life to beyond 2030. As part of this effort, the company was conducting a progressive upgrade of the terminal's distributed control system (DCS). This upgrade is an element of the ONEgas strategy for the combined assets of NAM and parent company Shell that seeks to lower operating costs in the Southern North Sea by better managing fields that are nearing the end of their operating life. The final phase of the control and instrumentation upgrades at Den Helder targeted this facility's Yokogawa Maglog 14 ASD system, which relied on magnetic logic technology that was first introduced in the 1960s. Yokogawa stopped selling this system in the late 1980s, and plans to end of support. In December 2011, NAM decided to migrate to Yokogawa's latest safety platform, the ProSafe-RS safety instrumented system. A key consideration was its ability to closely integrate via the Vnet/IP control network with the Yokogawa CENTUM VP DCS installed at the Den Helder terminal. Yokogawa has developed a close relationship with NAM, as for some years it has operated as a MAC for the company. 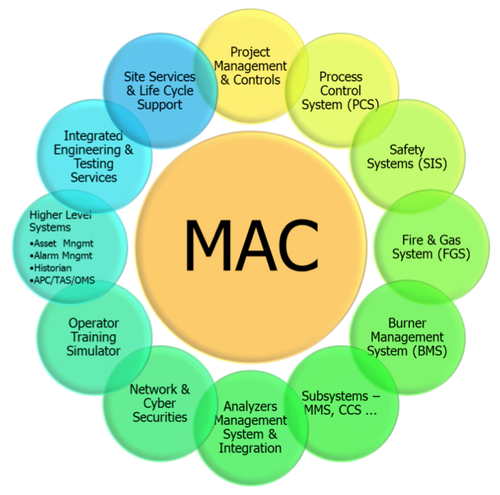 The MAC role provides a single point of responsibility for all the automation equipment at a facility. This partnership-style approach is becoming increasingly popular with larger end users that have complex automation installations, as it can simplify projects both for the user and any EPC involved. Yokogawa has invested in personnel with the skills needed to exercise this higher level of responsibility. In NAM's case, the MAC role involves the provision of automation equipment and services under the terms of an enterprise frame agreement between Yokogawa and Shell. To fast track this project and ensure that this upgrade coincided with the periodic maintenance shutdown planned for August 2013, NAM decided that Yokogawa should also take on the traditional role of an EPC by providing a complete package and implementation service, including all the mechanical, electrical, and civil engineering work required to install and commission the system. Missing this deadline could potentially have meant requiring the system to operate for a further two years beyond its end of support. Several factors led to the decision to ask Yokogawa to operate at this higher level of responsibility. Yokogawa had extensive knowledge of the automation system as it had been associated with the site since it started operations in 1984, and NAM's experience of working closely with Yokogawa as a MAC partner was very positive. The upgrade was a functional replacement for the shutdown system - which was well defined, making it easy to oversee. Another key factor was the importance of this project for NAM, which meant that dedicated NAM engineering resources were available to assist in project planning and implementation. Apart from the elimination of a few control loops that had become redundant over the plant's lifetime, the new safeguard system was a pure functional replacement for the old system. The initial front-end engineering design (FEED) work was performed by Yokogawa engineering staff under the supervision of an experienced FEED engineer from Shell. This phase of the project started in April 2012 and finished in September. After this initial planning work was completed, Yokogawa presented a solution and execution strategy to NAM in December, and the implementation phase of the project was started in January 2013. The first element of the execution phase for Yokogawa was the generation of the many detailed drawings, diagrams, and equipment specifications required for implementation. This resulted in a bill of materials that included the core elements of the safety control system, based on Yokogawa ProSafe-RS safety instrumented system with the required I/O interfaces. A range of third-party equipment including new barriers, trip amplifiers and cabinets was also specified to replace old and obsolete I/O technology fitted during the installation of the original ASD system. The execution phase of the project was performed very rapidly by Yokogawa, with planning, purchasing, and preparation work - plus software development for the ProSafe-RS - completed by the target date of August 2013. Construction, implementation, and testing then took place at Den Helder during the planned shutdown period. Although the ProSafe-RS platform offers new functional capabilities, it was decided that the safety application would implement the same functionality as the previous Maglog 14 system. That system was based on logic circuits with magnetic cores - a hard-wired system; field communication was made via Modbus links, with data sent as it was requested. 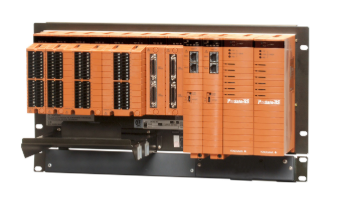 In contrast, the new ProSafe-RS safety instrumented system is now directly integrated with the plant's CENTUM VP DCS network. All of the safety-related data - and potentially any other data from the plant's complete DCS - is completely transparent and available to the safety controller. This provides NAM with an advanced safety control platform that can be reprogrammed and modified at will to deal with any proposed future changes to the gas processing terminal. 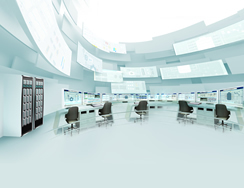 "Yokogawa's high level involvement played an important part in helping NAM to implement this automation upgrade project efficiently and cost effectively. With their help we were able to resume normal processing operations on time and without problem after the planned shutdown," says Vincenzo Graziadio, ONEgas Project Engineer with NAM.